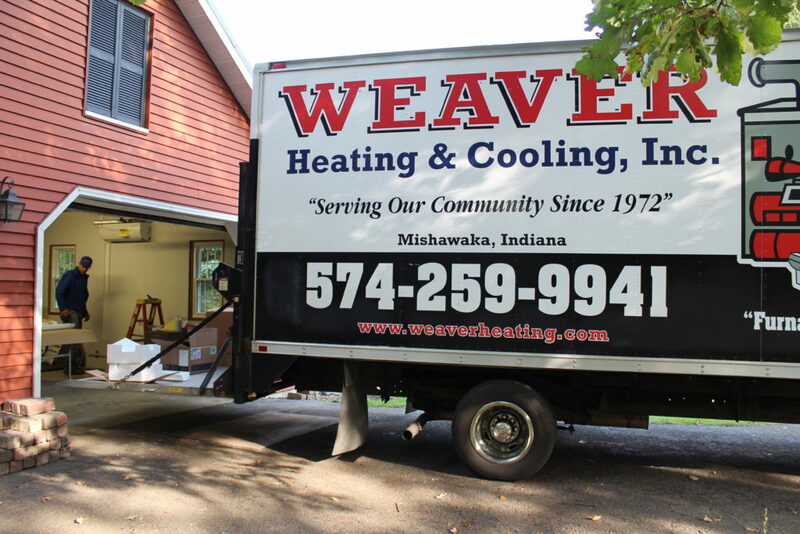 Serving the Michiana Area with heating & cooling needs since 1972. As an American Standard Customer Care dealer, we are committed to excellence. We've received an outstanding dealer award every year since 2000. At Weaver Heating & Cooling we call ourselves the furnace doctors, because we're on call for you, 24/7/365 to address your HVAC needs. Weaver Heating & Cooling currently installs and services residential and light commercial heating and air conditioning equipment, humidification systems, air purification systems, ductwork, and more using the best brand name equipment in the industry. Why Choose Weaver Heating & Cooling for Your HVAC Needs? Weaver Heating & Cooling has been the heating contractor homeowners and businesses trust for quality HVAC service since 1972. Along with our extensive expertise in the HVAC industry, Weaver Heating & Cooling is also a member of the Nexstar Network, an American Standard Customer Care Dealer, and has been the recipient of the American Standard Outstanding Dealer award every year since 2000. Weaver Heating & Cooling believes in only using the best equipment options available. As such we've paired with these two excellent companies to bring our customers only the best options to handle their HVAC needs. Our line of Aprilaire Whole-Home Dehumidifiers provide whole-home comfort—unlike portable units that only address certain rooms. Your air conditioner is designed to control temperature, not humidity. You need humidity control to maintain comfortable, healthy conditions in your home. The furnaces offered by American Standard offer reliable comfort and are, most importantly, safe and simple when it comes to operation. Furnaces come with hot surface igniters which means the burners start electronically. No fuel-burning pilot lights. Multi-port in-shot burners are also employed to make sure you're getting the maximum heat using the least amount of fuel. No one company can offer every product needed for every scenario. As such we've scoured through major and minor manufacturers to find the best for specific one off usage scenarios. Multiple winner of the Duncan Dealer of the year award, including 2010, 2011, 2014 and 2017!